We have created a blog just for Montessori parents! We hope that this will be a great place for you to learn more about Montessori inside and outside the classroom, act as a virtual gathering place for parents to connect with each other, and build our Montessori community. Bookmark it, follow it, and talk about it! Our Montessori program is based on the teachings, curriculum, philosophy and materials developed by Maria Montessori. There are 8 divisions taught by teachers trained as Montessori teachers. curriculum. Kindergarten and Grade 7 are taught in a single grade class following the developmental stages proposed by Maria Montessori. Grades 1, 2 and 3 are grouped together and Grades 4, 5 and 6 are grouped together. On-going parental interest and support is actively encouraged, so that parents become part of a team that presents the Montessori approach at home and at school. Parents contribute financially to the purchase of materials and the on-going professional development of teachers. Many parents volunteer both in the classroom and in assisting with other aspects of the program. Those wanting to learn more about our program can visit us at one of our parent information sessions. This consists of a short presentation, a brief visit to classes, a tour of the school and a time to ask questions. Please refer to the Registration tab for dates. Register at your catchment area home school between November 1st and January 31st if born in Canada. If born outside Canada go to the VSB District Reception and Placement Centre (DRPC ). Apply on-line for all choice programs such as Montessori, French Immersion etc. In the event there are too many applicants for the program, an electronic draw will be held at the school board. Successful applicants will be notified in February. Dates for the beginning of the application process will be available on the VSB Webpage. After receiving an offer of a place, successful applicants are asked to confirm their acceptance within 24 hours but will be given a little longer in the first round of offers. After the first round of offers, those receiving the offer of a place will be given 24 hours to accept. Maple Grove will then request the catchment school to forward the registration documents to Maple Grove. Unsuccessful applicants who chose Maple Grove Montessori as their first choice in the on-line application process will be placed on a waitlist. Those students with previous Montessori experience will have priority when offering places for Grade 1 to Grade 7. Therefore it is important that you contact the school to let them know if your child has attended a Montessori program. You can email jpeters@vsb.bc.ca with this information or phone the school. Applications for Grades 1 to 7 Montessori Program will be accepted at anytime. Montessori is a District Program and there are no catchment areas for this program. Come in to the school to complete an application form and bring proof of residence (priority is given to those residents in Vancouver) and birth certificate. All students who live in Vancouver are eligible to attend Maple Grove’s Montessori Alternative program. Each grade level has a waitlist, and new applications will be entered at the end of this list in the order that they are received. However, those with prior Montessori experience will be given priority. Those with siblings currently in the Montessori program are given priority. The Montessori Program began here in 2004. As of September 2010, the program now includes Kindergarten through to Grade 7. To facilitate the growth of such a new program, The Maple Grove Montessori Parents’ Group asks families to be involved with the school. This can be through volunteering their time and making a yearly taxable donation to support the purchase of Montessori materials. This program is part of the Maple Grove School building and community. The program benefits greatly from the community spirit, as well as the use of the well-equipped library, gymnasium and recently installed Primary and Intermediate Playgrounds. The school has an active band, choir, math club and intramural sports program. Kindergarten runs from 9:00 a.m. to 3:00 pm. Monday to Friday with an average of 20 students. The other classrooms, except for Grade 7, incorporate multi-age/grade class groups,. Common Montessori groupings are ages 6-9 (Grades 1/2/3) and 9-12 (Grades 4/5/6). There is one teacher facilitating each class. These classes run from 9:00 a.m.-3:00 p.m. Monday to Friday. Recess break is from 10:35-10:55 a.m. and lunch is from 12:10 -12:57 p.m. daily. Montessori philosophy states that multi-age/grade classes encourage cooperative learning. Younger children are stimulated by the interesting work of the older ones. Older students serve as tutors and role models for the younger. This helps them in their own mastery and leaves them with a tremendous sense of self-confidence. The students can progress through the curriculum at their own pace, easily finding peers to work with no matter what age. The B.C. Ministry of Education Curriculum is followed within the Montessori program. The students receive written reports three times a year and parent teacher conferences occur twice a year. There is also a “Meet the Teacher Evening” early in the Fall. The Montessori teachers use a combination of whole class lessons, grade level lessons and individual lessons to meet the needs of each child. Assessment and evaluation is on-going, always respecting the students’ efforts and work. In the Montessori program, students do not receive grades. The students in the Montessori program are encouraged to be self-motivated, to monitor their own educational achievement and to behave with grace, courtesy and respect towards others and the environment. There is time during the school day for students to choose from among several educational opportunities. Each student is free to pursue these until his/her need is satisfied. The student is allowed to move freely in the classroom and to speak to other students in a modulated voice. With independent choice, there will be various activities taking place in the Montessori classroom at the same time. One student may be working on an art project while another completes a math problem. Each of the Montessori classrooms is equipped with a full range of Montessori materials. These materials are extremely costly. They are purchased and maintained with the yearly parent donations. The materials are designed to be used in specific ways by trained teachers. Once the students are familiar with the materials, they are free to use them in their daily lessons. The materials are an integral part of the classroom and are used in all areas of learning, including practical life, math, language, sensorial and cultural. Our Montessori teachers are all trained in the Montessori philosophy and practice. 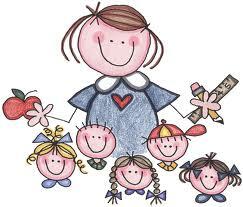 Montessori teachers have been called Directresses/Directors, Guides and Mentors. Regardless of the title, all the teachers have a broad education of their own, and bring their own special style into the classroom. It is their job to observe, guide and provide a variety of learning opportunities for the students in a prepared environment. Because our program operates within the guidelines set by the province and the Vancouver Board of Education, the regular addition of French language into the program begins in Grade 4. Music is part of the program at all grade levels. 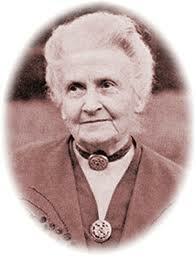 Dr. Montessori was born in Italy in 1870. She was an enthusiastic advocate for the rights of the child. After becoming Italy’s first female doctor, her interests turned to the education of children. Her educational method and philosophy evolved over 50 years of work with children from around the world. Montessori schools exist on six out of seven continents and have educated hundreds of thousands of children during the past one hundred years.